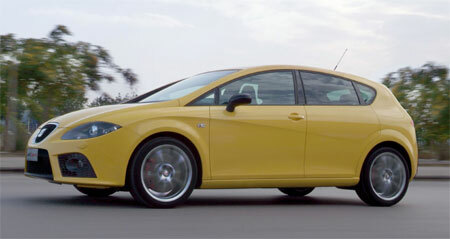 Spanish marque SEAT, a unit of Volkswagen Group has launched their most powerful production car yet, the SEAT Leon Cupra. 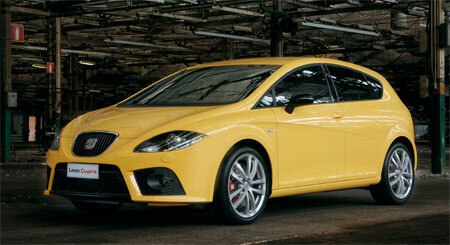 The SEAT Leon Cupra was developed with the knowledge SEAT gained during their World Touring Car Championship season. 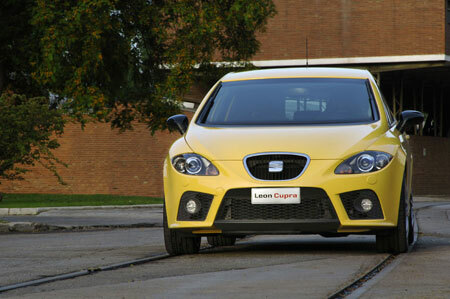 SEAT calls it the embodiment of the Leon WTCC’s spirit in a Leon road car. The SEAT Leon Cupra introduces to us a new 240 horses version of the Volkswagen AG 2.0 litre Turbo FSI engine that usually makes only 200 in the Golf GTI. This does not count special editions like the Golf GTI Edition 30 which has the same engine tuned to make 230 horses. This might give us a view to what a refreshed Golf GTI’s engine will be producing, since even the Golf R32 will be replaced with an R36 that makes more power. Anyway, I digress, this is supposed to be about the Leon Cupra! This variation of the 2.0 TFSI is the most powerful engine ever installed in a SEAT production car, giving you 240 horses at 5,700rpm. Torque figures are 300Nm which peaks at a low 2,200rpm. The TFSI is mated to a 6-speed manual transmission. 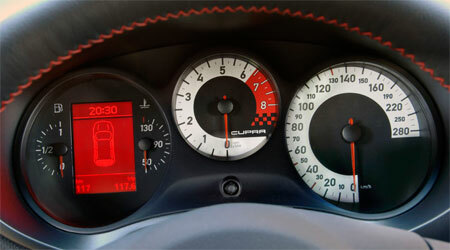 The SEAT LeÃ³n Cupra has a top speed of 247 km/h and accelerates from 0 to 100 in only 6.4 seconds. 1 kilometer can be covered in 26.4 seconds. 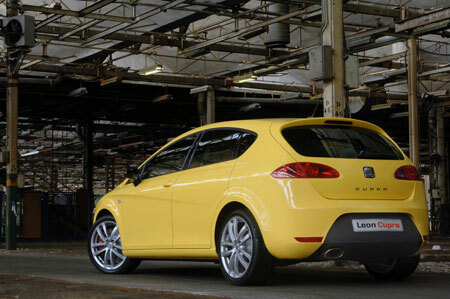 For stopping power, the SEAT Leon Cupra has the largest disc brakes in the Leon range, 345x30mm. The calipers are painted red for that sporty look. There is also an option for a Brembo four-caliper brake system for even more stopping power. SEAT also ensured that the Leon Cupra gives the driver a complete sporty driving experience in the form of aural orgasms provided by a special SEAT SOUND exhaust system. The exhaust system has been engineered not only for good exhaust flow but to enhance engine sound especially at the low RPMs. A nice touch, as to me a sports car driving experience is not complete without you hearing the speed as well as feeling it. Next Post: R3 Waja and Gen2 coming up?